Using over half of a million test devices and conducting nearly 20 billion measurements across the globe, OpenSignal’s June, 2017 The State of LTE report has been published. Inside, OpenSignal details not only where you’ll find the best LTE connection, but the average speeds across the globe. While the entire report paints a great picture of global LTE availability and speeds, I’ll limit what I’m talking about to the US. If you want further details on a specific area, check out the full report by following the via link below. Now, during the test period (January-March, 2017), there were three key changes to note of in the US. According to OpenSignal, the US is now ranked 4th in terms of global availability of LTE, a big jump from our previous ranking of 10th at the time of the last report. Ahead of us is South Korea, Japan, and Norway. Trailing us is Hong Kong, Netherlands, and Lithuania. The downside, though, is our speed. As the findings show (look near the bottom of the above chart), the US ranks below the global average of 16.2Mbps, coming in right at 15Mbps. In terms of speed, we’re right alongside Jordan, Georgia (the country, not the US state), and slightly ahead of Kuwait. 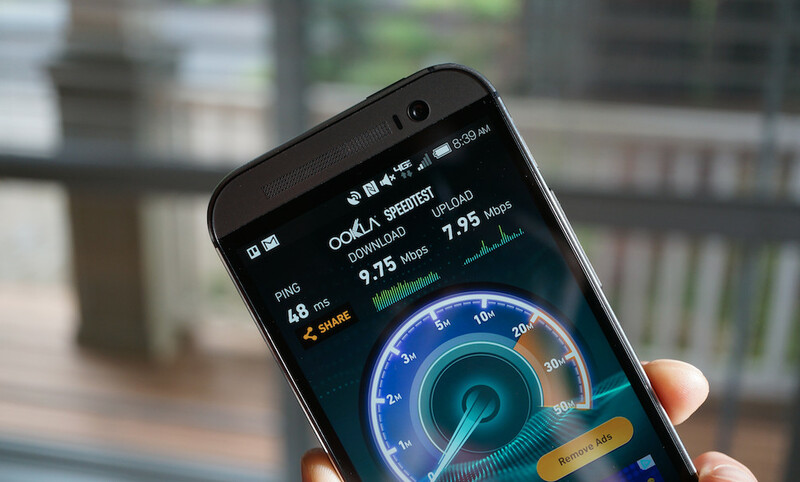 The leaders in speed are Singapore (45.62Mbps), South Korea (43.46Mbps), Hungary (42.61Mbps), and Norway (41.36Mbps). To sum it up, not only do these populations have good access to LTE, but their speeds are superior, too. When we compare to our closest neighbors, Canada and Mexico, we’re losing that battle, too. Mexico joined the LTE party a bit later than the US, but its network is pumping out an average download speed 7Mbps faster than the US. 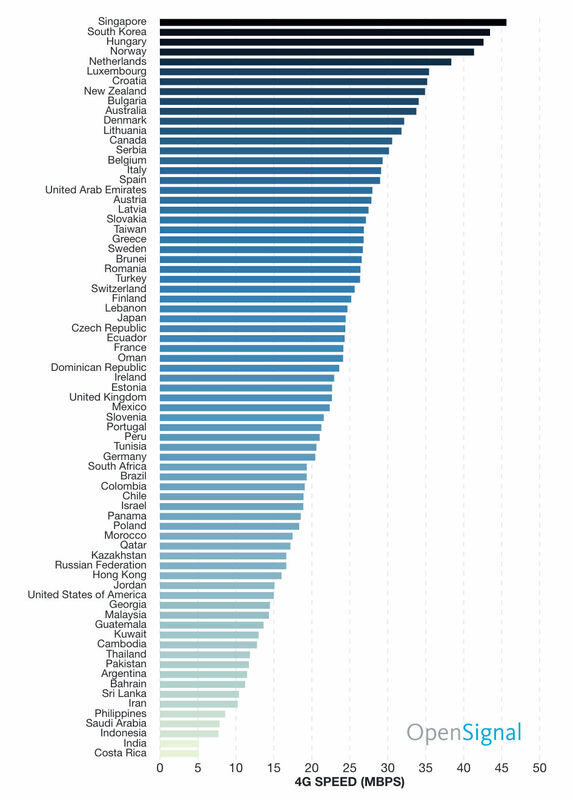 And Canada, its average download speed is currently listed at 30.6Mbps, well ahead of the US. The State of LTE report is quite fascinating if you choose to dive into it, so go check out OpenSignal’s website if you’re interested.